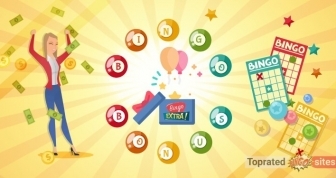 Bingo is among the most sociable games that entertain players of all ages and genders. It is a game that can be played indoors and with many people all at the same time. As such, what better way than to have fun catching up on your favourite TV show and playing bingo at the same time? This is perhaps why many brands are moving away from providing standard bingo games and spicing them up with TV show tunes, TV celebrities as the bingo callers, and merging the games with the TV show rules. Here are our top 7 picks of exclusive bingo rooms themed after popular TV shows. The dynamic TV show Crystal Maze has made a spectacular return and Jackpotjoy and Heart Bingo are packing all the excitement of this team challenge in an exclusive themed bingo room. Launched in 2018, this 90-ball room offers all the features that garnered the show its popularity. Purchase at least six tickets and you will have the chance to collect all the tokens you can amid the frenzy of the Dome’s fans and cross the metal bridge covered in gold to come victorious out of the Crystal Dome Bonus round. The gold tokens you collect can be exchanged for free bingo tickets to play with during the next game. The room is open 24/7 and tickets starts at just 15p. Will you start the fans, please! Prepare to showcase your best talent when you land on the Mecca X Factor Bingo Room. The games take on the popular TV show where contestants will be aiming to impress the judges with their talents. Cheer yourself up to bag the jackpot or get to cheer up your roomies as you play in this spectacular room. Similarly, all that is standing between you and your win is just your persistence in playing the bingo games which are held daily at the X Factor Room at Mecca Bingo. With ticket prices costing as little as 50p per card, here is your great chance to shine with a full house prize earning you a holiday in a surprise location. One-line win gets you up to £100, and two lines earn you £200. The X-Factor promotion at Mecca Bingo runs from 10 am to 11 pm where you can participate in the Judges Desk feature and unravel your special ticket for massive wins like cash and the surprise destination prize. Additionally, when you reach the full house award, you can get the £500 jackpot. If you love all things romantic, you will enjoy the love island bingo room at Sky Bingo. For just 5p per ticket, you will get to play this 90-ball bingo variant themed after the lovey-dovey coupling at the Love island TV show. You get to win great prizes, holiday vouchers and tangible prizes whenever you play in this exclusive sunny room. Additionally, you get to enjoy the soothing Love Island theme tune, which puts you in the mood for some really big wins. Transport the dazzling and anxiety-filled Britain’s Got Talent experience to your desktop or smartphone when you play in this exclusive room at Mecca Bingo. Show your bingo talent and take home one of the many exciting treats such as the full house prizes, lucky numbers jackpot, the community judges’ jackpot and cash prizes. The ticket cost as little as 50p. Here, you will also enjoy the Star Struck games, which are played every 30 minutes. In these games, you get a free scratchcard to try your luck if you happen to buy 6 or more tickets and fail to win. Impress the judges and you might walk away with a handsome prize of up to £250. You can also win some of the 6 special bonus prizes. You can play the games from 9 am to 11 pm every day on your desktop or mobile. If you love sitting at the edge of your seat while watching Deal or No Deal, then pack that adrenaline and then some for bingo. Hold your breath, aim for the jackpot and either win or lose in this exciting 90-ball bingo variant at Gala Bingo. You get to play against 128 other players in each game, with the average prize being £170. Take a chance and aim for the full house. If you should win, you get the chance to choose whether to accept the banker’s offer, and your fellow roomies can help you decide. If you opt to take the banker’s offer, you win whatever he offers, but you can trust your instincts and unravel whatever is contained in your box. Either way, you get to win and have massive fun just like in the actual TV show. The tickets for Deal or No Deal Bingo are reasonably priced at between 10p to 50p. The exclusive Deal or No deal Bingo room is open 24/7, hence offering you hundreds of chances to take on the banker on a big win episode. Additionally, you can win on one line, two lines or a full house in less than 31 calls. Deal or No Deal is available across the Virtue Fusion network. Here are our picks for the Top 3 bingo sites where you can play the game and enjoy great bonuses and a wide range of side games. Bask in the glory of the Sunset Strip Bingo where you stand to win great cash prizes in this Hollywood-themed 75-ball bingo game. The exciting game features 5 prizes, clearly an extraordinary deviation from the normal 3 prizes in a bingo game. You can win with 1, 2, 3, 4 or 5 lines. On top of these, you can win on a bingo pattern, with the pattern being displayed every time a new game is starting. Always remember to keep the fun and forget the losses. If you do not win at least one of the lines, you will already have gained massive entertainment playing and chatting with your roomies and basking in the sunny themed bingo room. If you love TV and the fun that comes with combining the thrill of a soap opera and a round of bingo, you will definitely feel at home at the Coronation Street Bingo Room. Here, you get to relive this nostalgic popular ITV soap. You can also watch clips from the series with all your favourite characters and episodes as you play and chat with your roomies. The games in this 90-ball room are played 24/7 and only cost as little as 5p a ticket. They are all named after famous Weatherfield locations and equally fun. The Coronation Street games feature jackpots, full house prizes, and jackpot bonus rounds. Head to Gala Bingo and grab your share of fun and great jackpots as you walk down the popular Coronation Street. Have the TV Show and Eat It Too! 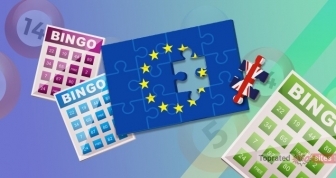 With bingo being among the easiest games to play for both newbies and the aces in online gambling, we are bound to see many new bingo variants coming up. 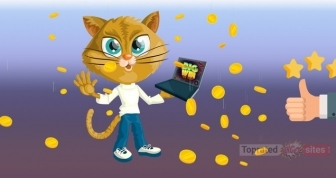 Each bingo site is busy looking for interesting game additions to spice their lobbies and attract more players. With new movie releases coming up every other day, we might just see new bingo rooms with crazy themes before the year comes to a close.